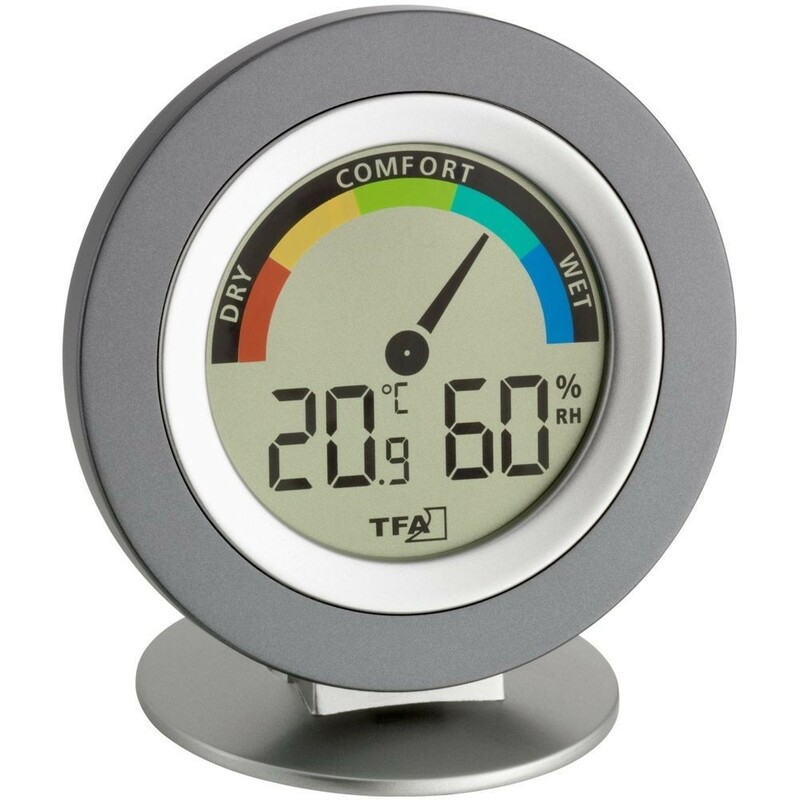 A Cosy thermo-hygrometer from TFA Dostmann is designed to indicate when the temperature and humidity levels are at a comfortable point. There are the words 'dry', 'comfort' and 'wet' as well as 5 coloured temperature zones, to ensure the clearest possible reading. The Cosy Digital Thermometer is a stylish round thermometer finished in a contrasting matt grey colour.